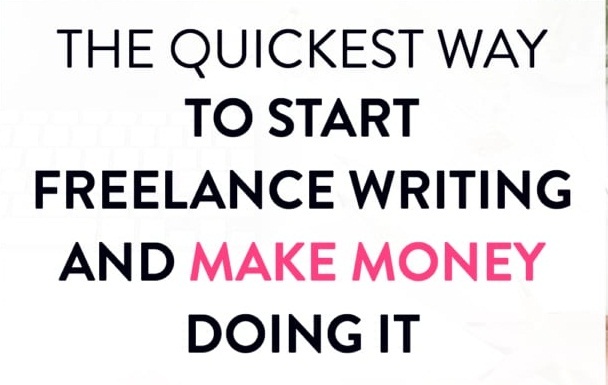 So you have decided to start freelancing to get some extra earning but earning through freelancing is not easy as there are thousands of freelancers already there. Here in this post, we will explain "HOW TO BEAT THE COMPETITION IN FREELANCING AND WIN PROJECTS". With the increasing competition in every field, you need to improve your skills to beat any competition.Likewise, to get the projects in freelancing websites you should have the expert knowledge of your skill and follow some tips to get any project. Not only freelancer but there are many websites these days are providing freelance projects by using bid strategy.You may have tried several times to get the projects, but you may fail utterly. According to the Alexa traffic rank, the global rank of freelancer.com is 1,719.And India has the highest number of visitors to this site that is 20.2%.Freelancer.com is linked up with my freelancer websites like upwork, freelancer,peopleperhour. Mostly graduates prefer to use this site to get projects. Are you feeling tired of office works? Do you want to choose a flexible job? Here comes the best option for you, it is freelancing. Yes, you can work from the comfort of your home and the perks are also excited. You can even get your work done on the beach side.Because of added advantages, people tend to choose to freelance. But due to increased users, there will be heavy competition for any single given project. It is really a great turnoff for the freshers to get projects in freelancing. If it’s your first project in freelancing then you have to choose low bid projects. Bid the projects at low rates, don’t go for the big shot at the first attempt.Everyone experiences difficulties while achieving their first project, but you have to really sharpen your skills to achieve the projects.You have to make your portfolio really strong. Your profile must look like a professional one.Try to advertise your selling points in your profile.You need to provide in brief about the skills you possess and certifications which shows you meritorious in that field.Create a good overview about yourself. Clients are mostly attracted to your profile. First and foremost thing you have to do is to understand the requirements of the clients.Just go through the job description and try to learn the requirements they prefer to have for the project.When you understand the project requirements, you will come up with intelligent questions which makes the client impress.But only make sure to promise what you can do. Always try to quote fairly, not too high as well as not too low.Your price should be reasonable for your work.If you thought of quoting fair too low then there may be a chance of client think low quality about your work.You may not quote similar to the experienced freelancers.Be conscious while quoting the fair. You have to make yourself reputative, this can be done by producing the quality work within the deadline to the client.This will make your clients come back to you for later projects.Make sure to treat them respectfully by messaging on-time and providing the tracking information about the on-going project. 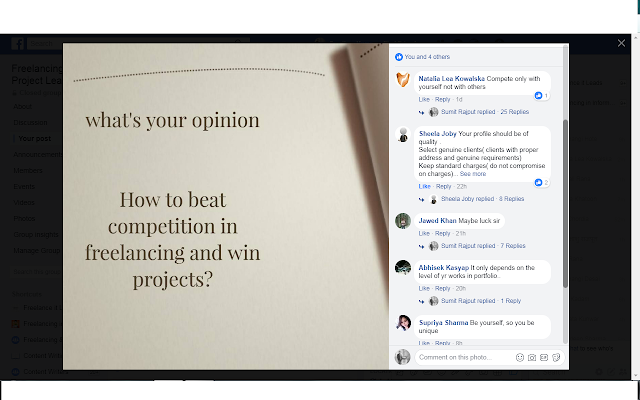 This is group post link where member of our facebook group have given their openion and views that how we can beat competition and and win the projects. Hope this will help you a lot as they all are experienced in freelancing. Try to follow these steps while applying for the freelancer projects.This will surely make you gain projects. Dear Sumit, This is really a good blog. Kudos to you. Amongst, Freelancer.com and Freelancer.in, which one must I choose to get started? I am in India but want to get customers from developed nations.